Clamshell quilts have long been in my quilts-to-do list. They all look gorgeous with many variations. Finally I had the time to start mine with a traditional one. 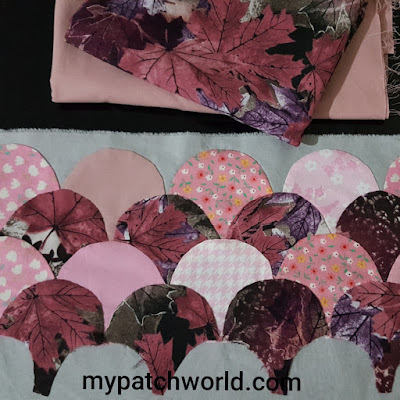 When I searched through internet, I encountered various ways, methods of doing clamshell quilts. 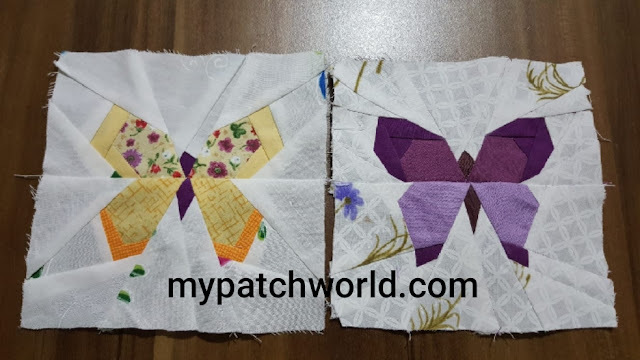 Seeing various methods, I chose the one way that I found easiest and then prepared my tutorial which seemed the most practical to me. If you are also planning to give a try, why don't you start from here then? And I'd like to know if you've found it useful or not? 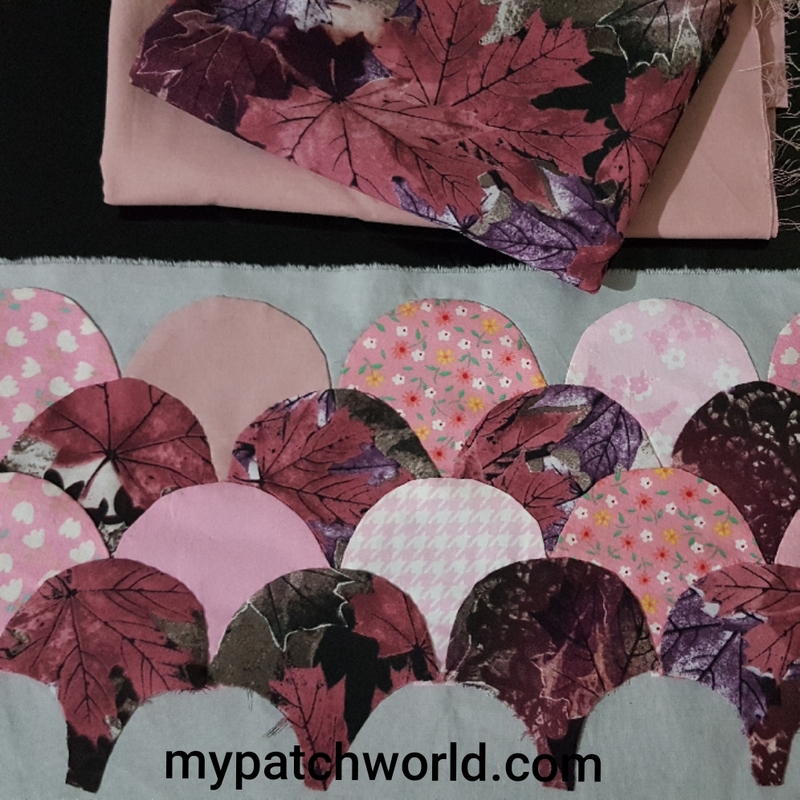 For clamshell quilt templates, you can prepare your own or use a ready made free clamshell quilt template. 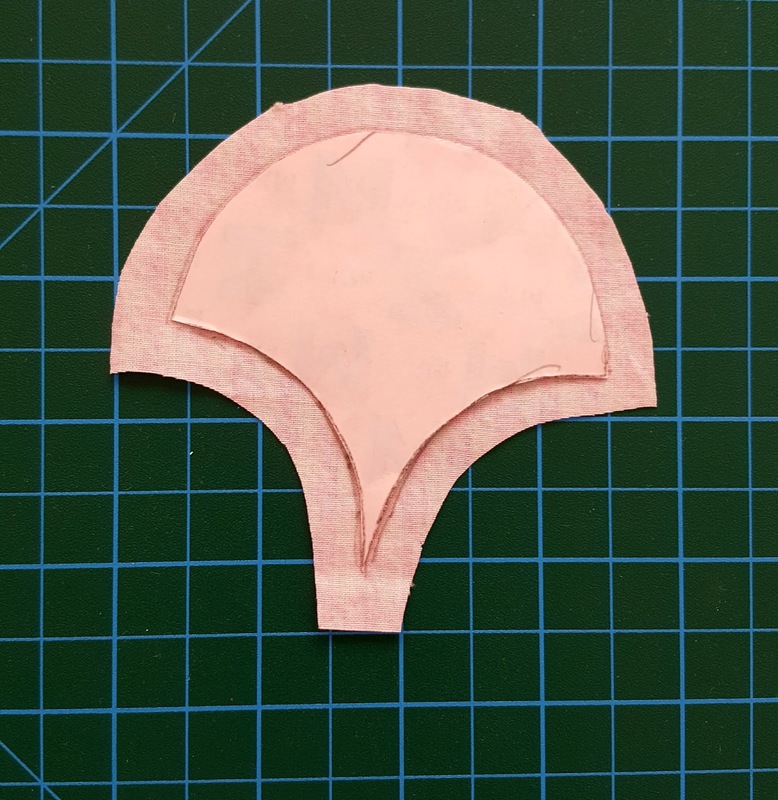 I printed out the template reducing its size 50% so it becomes 2". You can reduce or enlarge it according to your desire. Cut the fabric 1/4 inch larger than the paper template. Place the template on the wrong side of th e fabric. 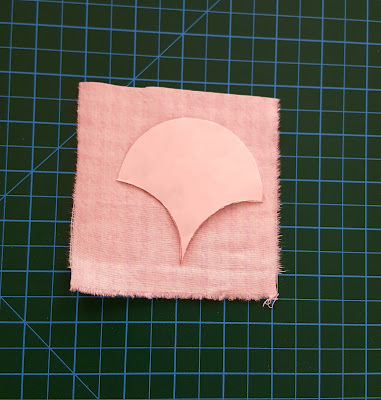 Baste the top curved edge, using long basting stitch. Or you can just use fabric glue instead of basting. Here I preferred basting. Press the edge over with iron. Make sure that there are no points on the curve. 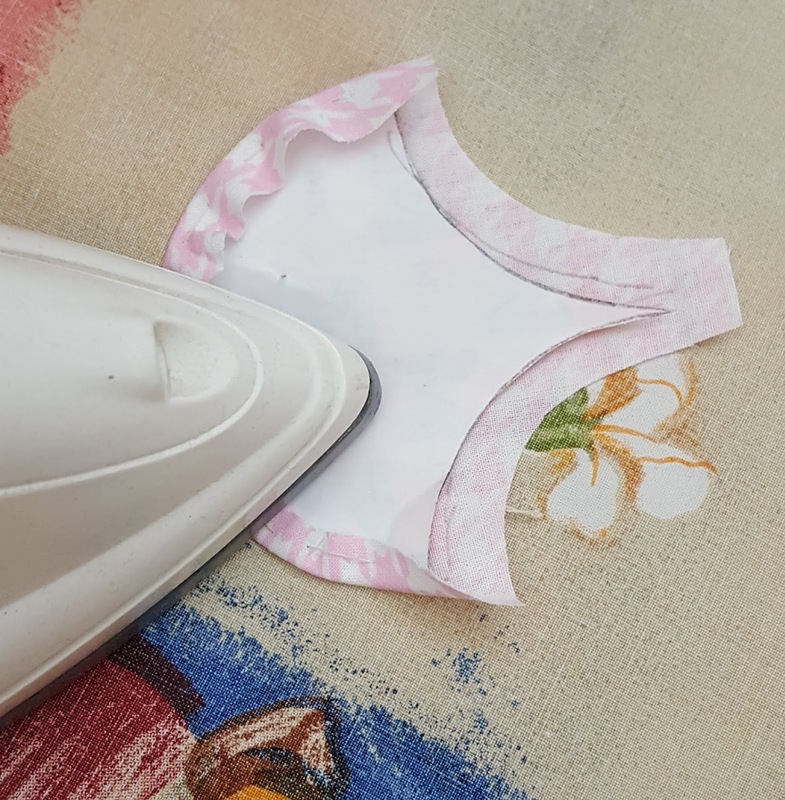 After ironing and giving the round shape, remove the template. When you have prepared the clamshells, it is time to put them together. 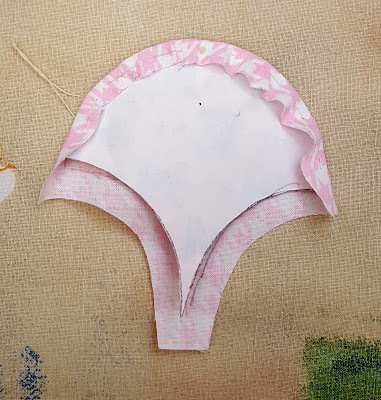 There are various methods you can use, here I preferred applique method to put the clamshells together. 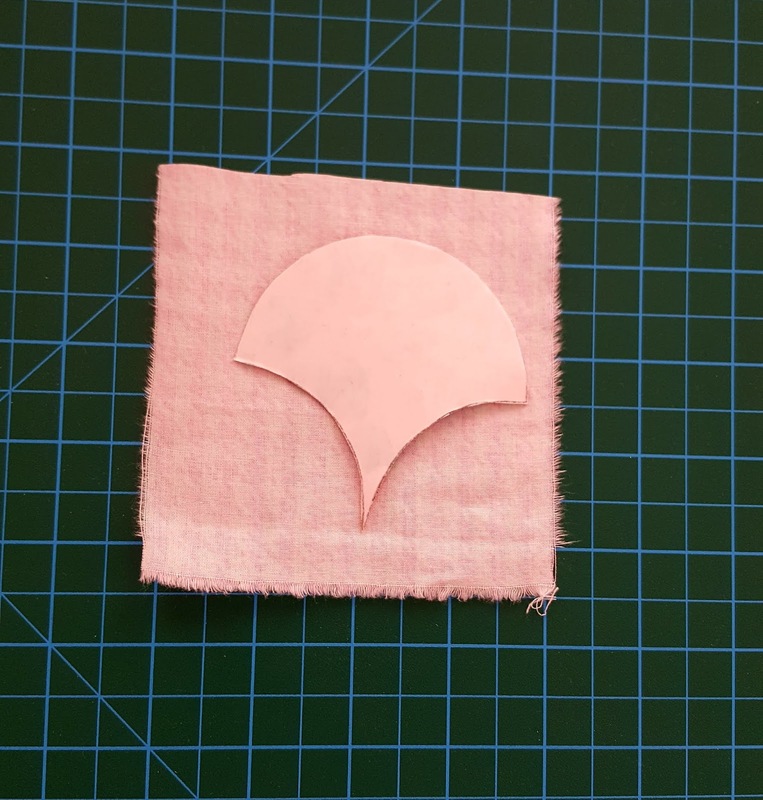 Applique the top curve into place on the foundation fabric. 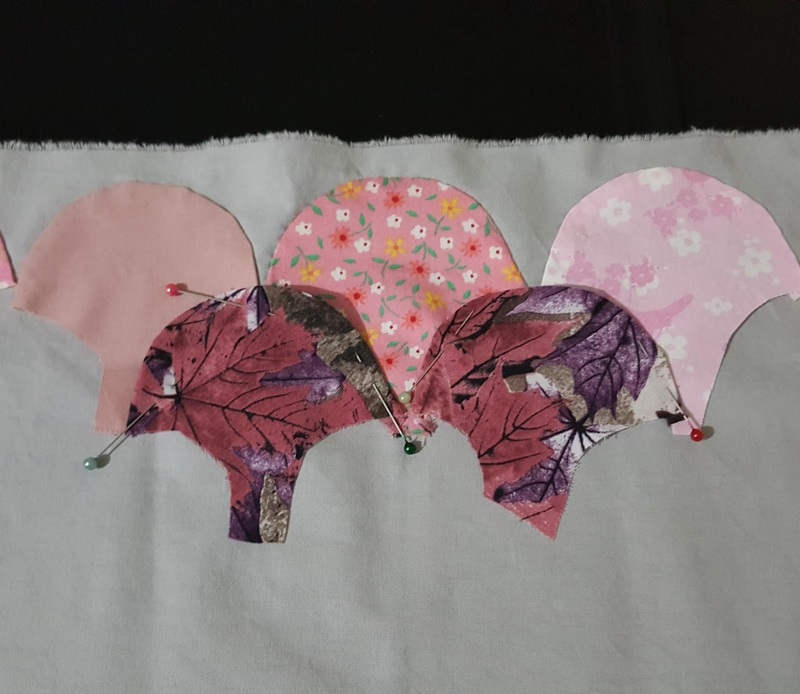 With the applique method, stitch a row at a time. The next row will lay on top of the bottom curve of the row above. I haven't finished assembling the pieces, it is stil work in progress. 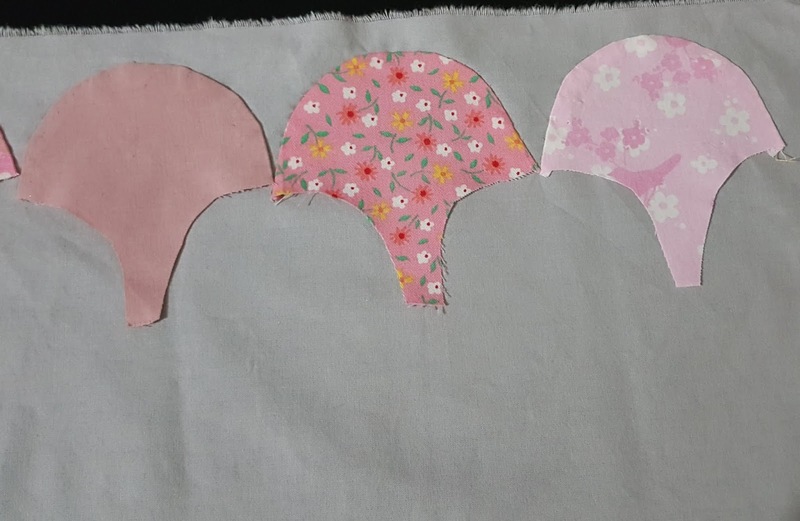 I am planning to make it a cushion. As soon as I have finished it, I will be sharing it. 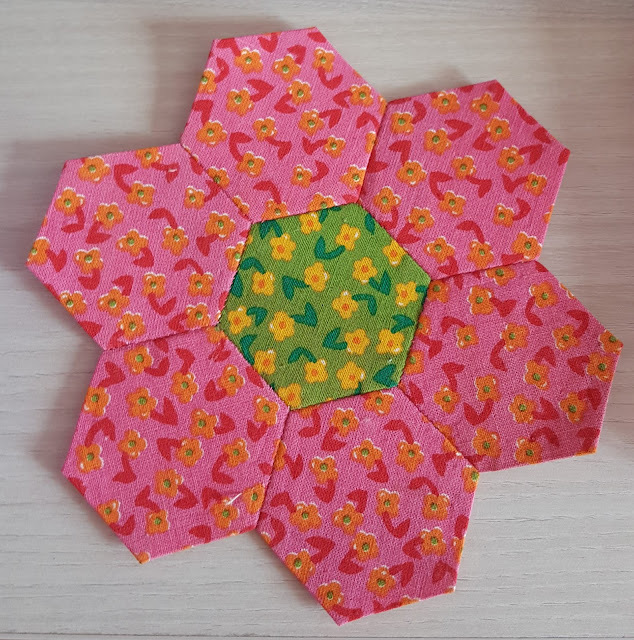 I like making clamshell quilt pattern and next planning a baby quilt with clamshells. Yay it is exciting!